A wise man who once said “The higher you fly, the further you fall”, or maybe he wasn’t clever, but simply a realist. But when everything comes to it, it’s certainly the truth. For throughout history, we have found out that the planes are not a hundred percent safe. It is hardware and of course, something fail. Through time many security measures have been made been made to make flying safer. But regardless, we have experienced some large aircraft disasters over the years. The problem with aircraft is that they are in very high altitudes, so they can reach enormous speeds when the crash. This means that in a plane crash there are usually no survivors, or at least very few. It has helped some people develop a fear of flying, where they decidedly do not want to fly. 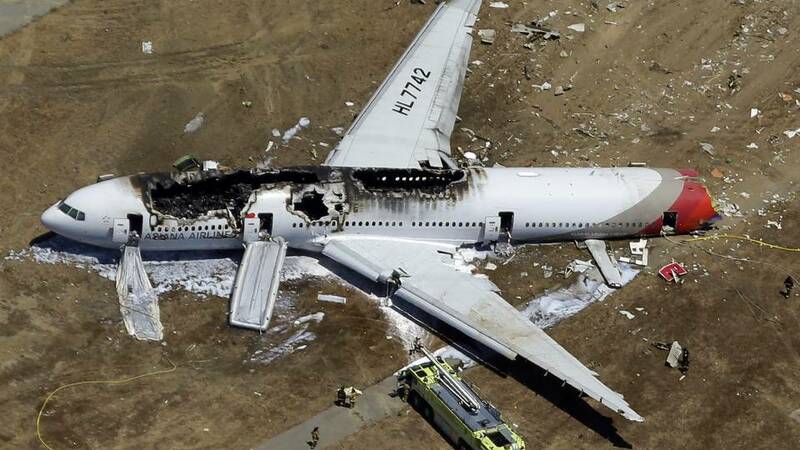 An Asiana Airlines plane crashes while landing 6 July 2013. When we talk about aircraft disasters we cannot avoid talking about 9/11 in New York. Two American airliners flew into the World Trade Center. It cost 2,700 lives. It later became publicly known that it was a terrorist attack, that was to blame. The disaster was not affected by a hardware fault in the aircraft. It was instead a hijack by the organization Al-Qaeda, who had guided the planes into the buildings. In Japan in 1985 a plane flew into the mountain Takamagahara. A violent plane crash in which only four survived, while 520 people were killed. It was supposedly a mistake in navigation, which was the basis for the collision with the mountain. In 1974 a Moroccan luggage porter not had closed the door to the cargo bay properly. This resulted in the shutter being pulled up over French airspace. This caused reduced cabin pressure, which resulted in a crash, where 346 people died. But we have absolutely no reason to be afraid that we will ever be part of an aircraft disaster. It is very rare that a plane crashes. The technology is extremely well developed, while the pilots are well trained. Flying is statistically the safest form of transport in the world. This is also one of the reasons that we hear about plane crashes in the media. Because it is extremely rare, but most often it is also because in the case of a crash there are many dead innocent people.